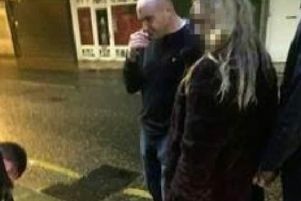 A man was left with permanent scarring after he was punched in the face outside a club in Blackpool, say police. The incident happened at some time between 3.15am to 3.40am on September 5 outside the Home and HQ club on Talbot Road when an 18-year-old local man was approached and punched in the face during an unprovoked assault. PC Claire Sloane from Blackpool Police said: “The victim had to have stitches to his lip and has been left with some permanent scarring after this nasty assault which there was no reason for. People can report information by calling 07816215827, or if they fail to get an answer, 101, quoting crime number WA1716324.